What’s the new trend for fashion WordPress themes in 2019? 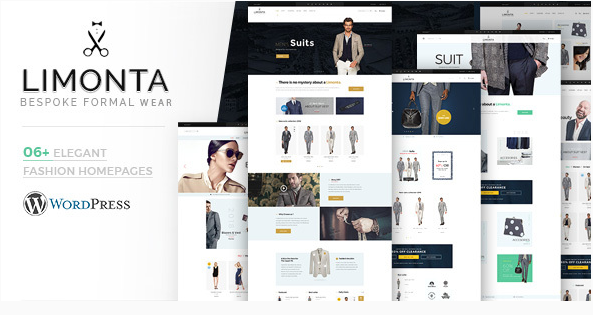 If you are running an online fashion store, you cannot miss out our multistyle collection of 10 Best Fashion WordPress Themes in 2019 because they will help your website stand out from the crowd. Especially in this high-competitive marketplace, it’s essential to equip a responsive, powerful and unique WordPress template for your fashion ecommerce website. Let’s explore our list and pick out the best one suitable for your online fashion shop! Littlemonsters is a responsive, clean and creative WordPress theme for sport online shop. If you are selling sport clothing & accessories, you should consider it seriously. This sport fashion WooCommerce WordPress theme offers you 3+ creative homepage demos imported by 1 click, Megamenu supported, multiple product layouts, various shop layouts & blog pages. Moreover, it’s built with the fastest page builder – King Composer, multilingual & RTL support, SEO optimized, high conversion and ease of customization. Thanks to lots of powerful functionality, Littlemonsters deserves as one of the best fashion WordPress themes for extreme sports, gym, fitness or sports online shops. 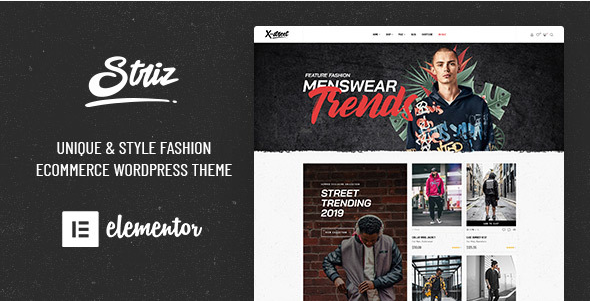 The second template of 10 Best Fashion WordPress themes in 2019 we’d like to introduce is Striz. It’s one of best streetwear fashion Ecommerce WordPress themes. Striz responsive street trending fashion WordPress theme comes with 4+ premade homepages, diverse shop page layouts, multiple blogging styles and many functional pages. Besides, Elementor, Revolution, WooCommerce and other powerful plugins & options will help you optimize performance, SEO, customization for your website. Enhance shopping experience and boost conversion rapidly with Striz now! 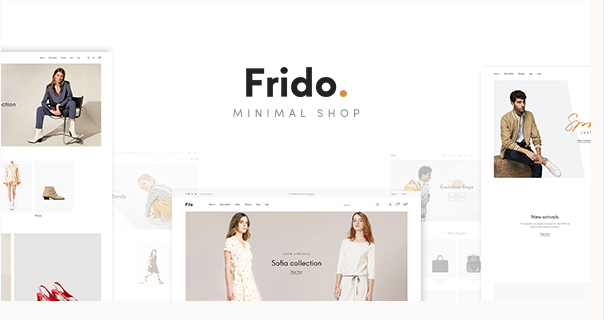 Frido is a simple & elegant WooCommerce WordPress theme for minimal fashion shop. It will satisfy your expectation with 7+ beautiful homepage designs built in the best drag and drop page builder Elementor. Moreover, Frido is designed with lots of powerful ecommerce functionalities such as speed optimization, responsive & retina interface, ease of customization, flexible product page styles, attractive blog layout, etc. All great features make your online shopping store impressive and professional in customer eyes. If you are focusing on trending fashion for teenager, this template will be must-have for your online shop. 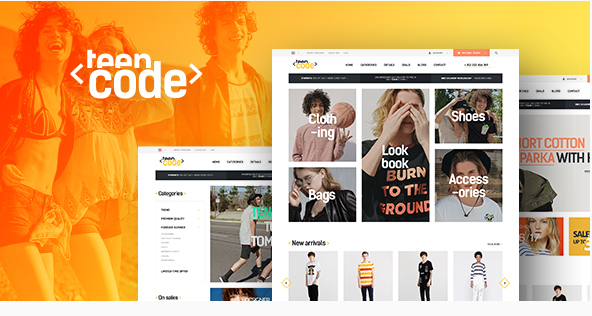 Built with eCommerce WordPress platform – WooCommerce, TeenCode is a dedicated fashion WordPress theme with modern & creative design. Bringing good look & feel for your website, this fashion theme includes 3 ready-to-use homepage layouts, various shop layouts and additional CMS pages. You can build any stunning fashion website with rich features namely 1 click installation, flexible theme customizer, SEO optimized and powerful plugins integration. Limonta will be perfect for formal wear. It’s one of best fashion WordPress themes for your website. You’ll be satisfied with 6+ elegant homepages, awesome blog, multi tab types in product pages, 5+ product types compatibility, advanced filter & navigation. Also, Limonta is fully responsive and SEO friendly. Your website will be optimized with powerful theme customization, popular WordPress plugins support, multiple payment methods and other dedicated functionalities. Summer is coming soon. It’s time to prepare a ‘hot’ WordPress theme for your summer fashion website. Swimwear is a SummerShop WooCommerce WordPress theme with 3+ amazing homepage demos for selling sunglass, bikini, swimwear in summer holiday, vacation or travel. It’s built with drag & drop page builder King Composer and powerful WooCommerce to build your website appearance and enhance its performance. Besides, this theme is fully responsive & customizable, completely user-friendly and SEO-friendly. All you need to start any fashion business! Another template of 10 Best Fashion WordPress themes we would like to recommend is BerryKid. It’s ideal for any fashion shop of kids toys & games, kids fashion, baby clothing & accessories. This responsive fashion template comes with 4+ adorable homepage layouts that are built with visual page builder – King Composer and imported with 1 click. 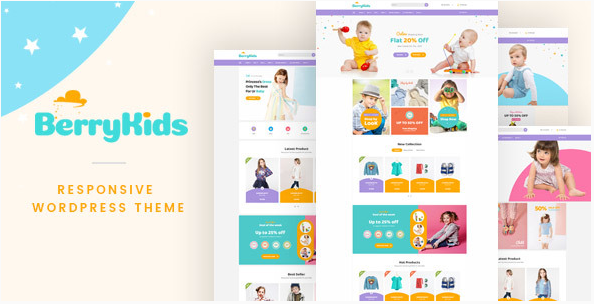 In addition, this baby fashion theme provides you beautiful category page, attractive single product page and creative blog style. Also, with the powerful customizer tool, you can build your every page and post flexibly & easily. If you get interested in wedding & fashion, you cannot ignore this gorgeous WordPress theme – HappyTime. This theme is outstanding with creative & beautiful design and ultimate core features for any wedding store. HappyTime presents you 5+ unique homepage demos with lots of premade functional pages. 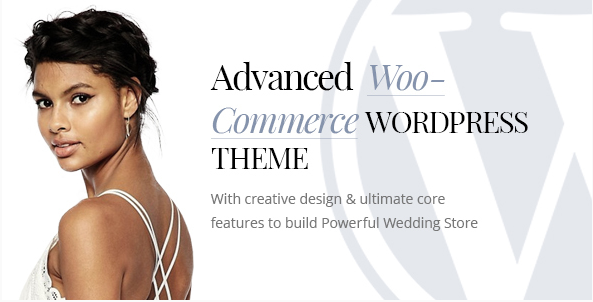 Based on WooCommerce and built-in features, you can build your wedding website with dynamic search & filter system, various product view and display your products smartly. Moreover, this template displays sharply on any devices. It can be customized with ease and compatible with many powerful plugins. 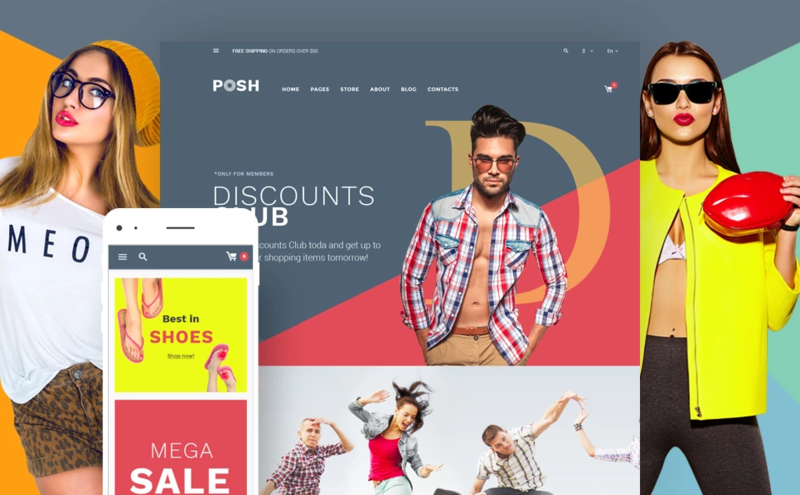 Posh is a responsive WooCommerce WordPress theme for fashion shops oriented at youth. This urban fashion theme is fully compliant with GPL 3.0 license and powered with 800+ hundreds of Google web fonts. Beside intuitive interface, you will get great support from multiple languages & currencies, social widgets, SEO-friendly design, WordPress live customizer and integrated plugins. 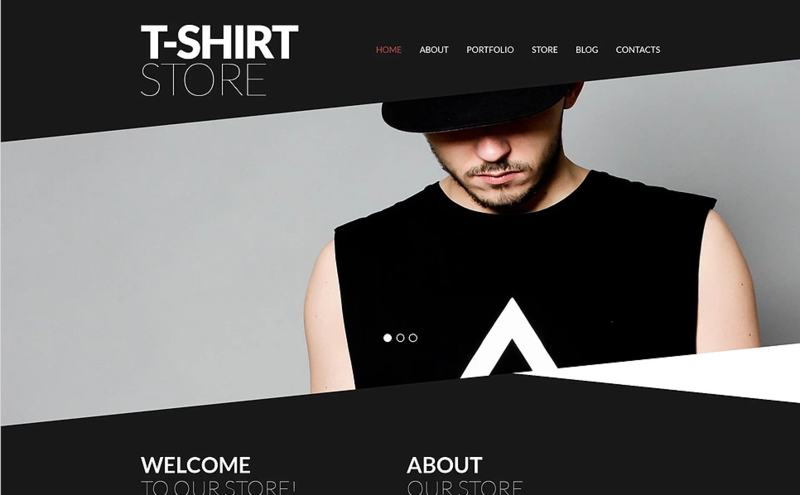 The last one of 10 Best Fashion WordPress themes in 2019 for multistyle collection is Trendy TShirts WooCommerce Theme. It is specially designed for selling T-shirt store. With non trivial design and back white style, the theme makes your fashion online store impressive and professional in customer eyes. It’s fully responsive & editable and well customizable with built-in theme customizer. You also can enjoy parallax and lazy load effect, SEO optimization and many other awesome features that need for any ecommerce website. With the collection of 10 Best Fashion WordPress themes in 2019 for multistyle, no matter which fashion style your website is, you also can choose the most suitable one. All fashion themes are featured with lots of powerful functions to optimize your ecommerce store. Boost your site rank and sale up easily than ever!